Foreign companies just got an important reminder: Doing business in China comes with a long list of demands. More than 30 global airlines — including some US carriers like American Airlines (AAL) — were recently told by the Chinese government to remove any information that could suggest Taiwan, Hong Kong or Macau are not part of China. Over the weekend, the White House denounced the warnings as "Orwellian nonsense." But toeing the line on Taiwan is just one of many concessions required of foreign companies that want to keep on China's good side. "It's a constraining environment," said Nicholas Lardy, a fellow at the Peterson Institute for International Economics and expert on the Chinese economy. Here are some of the compromises businesses need to make. 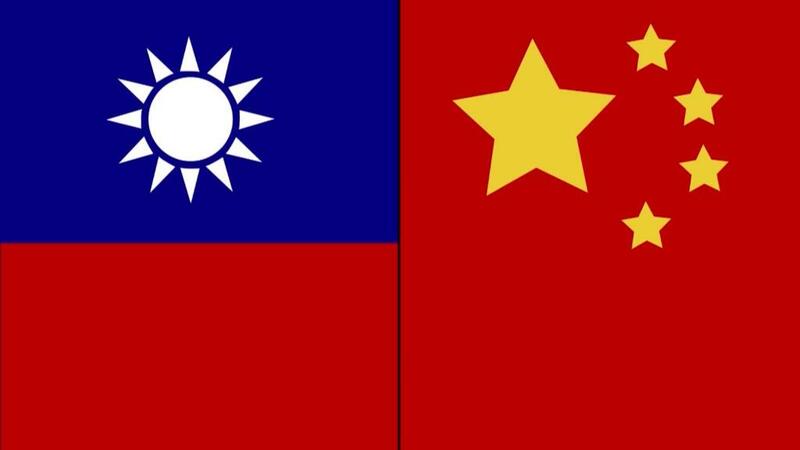 China considers self-governed Taiwan to be an integral part of its territory, and rejects any suggestions to the contrary. Hong Kong and Macau are special administrative regions of China. The country has acted forcefully when it believes that materials from foreign companies imply these areas are independent. In January, China blocked the Marriott website and app for a week after the hotel group listed Taiwan, Hong Kong, Macau and Tibet as separate countries in its emails and app. Delta Air Lines (DAL) and retailer Zara were called out by China over similar problems shortly thereafter. The Chinese government seems to be increasingly vigilant about monitoring content that isn't written in Chinese, according to Scott Kennedy, director of the Project on Chinese Business and Political Economy at the Center for Strategic and International Studies. "What's new now is they are trying to enforce the way these companies talk to any audience," he said. In June 2017, China enacted a law that tightened restrictions on cross-border data transfers, and mandated that critical data be stored locally. The Chinese government has framed the legislation as an effort to shore up cybersecurity, but critics see it as further means for China to monitor and control online information. A number of foreign companies have had to make big changes in order to comply. Apple (AAPL) said it would store the iCloud data of mainland customers with a state-owned company in Guizhou. Last November, Amazon (AMZN) Web Services sold the hardware it uses for cloud storage to its local Chinese partner to satisfy the new rules. In some sectors, Beijing only lets foreign companies operate in the country through joint ventures in which Chinese partners hold the majority stake. Automakers like GM (GM), Volkswagen (VLKAF) and Toyota (TM) have paired up with local players so they can avoid paying stiff import tariffs on cars. Chipmakers like Qualcomm (QCOM) and Intel (INTC) have also set up joint ventures to develop semiconductors in the country. Requirements regarding joint ventures have been a particular point of contention in the current US-China trade fight. The US government claims that foreign companies are expected to transfer proprietary technology to their Chinese partners before many joint ventures can be finalized — and that can mean giving up intellectual property. There has been some movement to loosen constraints on foreign investment in recent months. China has committed to easing restrictions on the finance industry, for example. By the end of June, the People's Bank of China intends to fully remove foreign investment limits on banks and asset management firms, according to analysts. The central bank will also let foreign companies own a majority stake (up to 51%) in securities, fund management, futures and life insurance firms. The Dalai Lama is a popular global figure. But to the Chinese government, the Buddhist spiritual leader of Tibet is a "splitist" who should be denounced — or at least not celebrated by companies in their marketing materials. Mercedes-Benz had to apologize in February after quoting the Dalai Lama in a post on its Instagram account. In 1950, Communist China sent troops into Tibet to enforce its claim on the region. China has controlled Tibet since 1951 — though the central government in Beijing has faced repeated unrest from ethnic Tibetans. In order to operate in China, internet companies have to follow the government's strict rules about censored content. This even applies to powerful multinational companies like Apple and LinkedIn. In 2017, Apple pulled the New York Times news app from the App Store in China, saying it was told that it violated "local regulations." Apple also removed software from its App Store in China that allowed users to circumvent the country's so-called Great Firewall. LinkedIn agreed to China's censorship requirements when it launched a Chinese version of its site in 2014. Later that year, it told some users that posts related to the 25th anniversary of the Tiananmen Square massacre wouldn't show up in mainland China. The networking site was bought by Microsoft in 2016. -- CNNMoney's Daniel Shane contributed to this report.